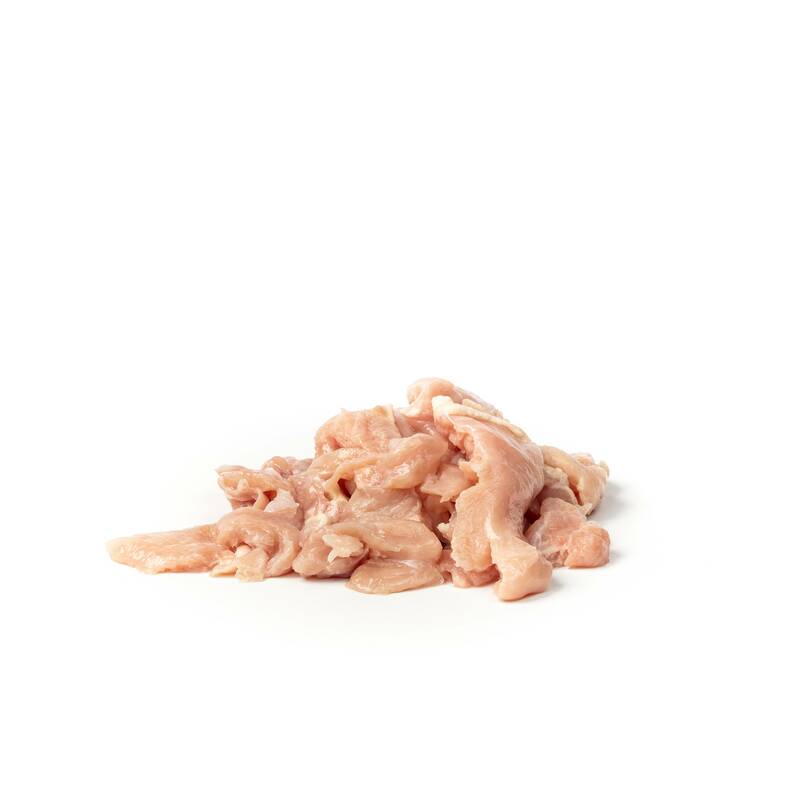 Antibiotic-Free mix of Mountaire and Bell and Evans boneless skinless chicken breast chunks. Handling Instructions: Keep frozen. Defrost bags in refrigerator or sink and feed within 48 hours. Store excess in an air tight container and keep refrigerated or refreeze. Do not keep refrigerated for more than 48 hours.